A lot of DIY websites and TV shows these days make a big deal about replacing old windows. They say that you could save hundreds of dollars per year on your energy bills with new windows since they’re more energy efficient. There are also all of those fancy new windows that filter UV light and work to keep heat out on hot days. Accurate Home Inspections is here to give you the 411: how do you know when it’s time to replace old windows and upgrade to the new high-tech model? The truth of the matter is that it depends on your comfort level. If you’re spending lots of time hanging heavy curtains in front of your window to snuff out drafts, then it may be time for window replacements. If you’re not bothered by a bit of draft, then you might be OK to wait a bit. However, this may negatively impact your home’s marketability – especially important if you’re considering selling soon – and there are also your energy bills to consider. If your windows are old and very drafty, replacing them with new windows – especially double-paned gas-filled windows – will definitely save you money on your utility bill, but replacing windows can get expensive, notes TreeHugger. That means that it may be a few years before your windows have paid for themselves in saved energy costs – two to three years, potentially, depending on the costs of windows, number of windows to be replaced and the energy savings that you see. Nevertheless, for the sake of your energy bills and your health, if your windows are significantly drafty, it’s probably time to replace them. A good time to look at upgrading is if you have to replace a broken window. 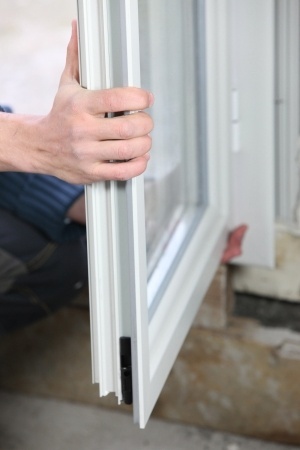 Since you already have to invest on a replacement, why not install a more energy-efficient window instead? You also have the chance to upgrade during a renovation, changing up the flow of a room and the style or position of your windows. Make sure you choose a brand that won’t let heat in or out – it’s just as important to keep your cooled air inside during the summer as your heated air inside during the winter. If you need windows that will block some light, look at some tinted options, though stay away from darkly tinted windows or bold colors, bearing your home’s resale value in mind. With a professional home inspection, you can get expert advice and opinions on the efficiency of your home and areas that might be best served by window replacement or upgrades. Plus, an inspector can also give you more detailed insight into other potential areas of concern, like lacking insulation or improperly sealed doorways or windows. To learn more about your home, schedule an inspection with Accurate Home Inspections today by calling 403-826-6111.